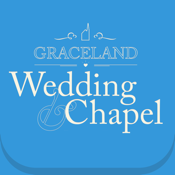 The Graceland Chapel has been a part of the Las Vegas Strip for over 50 years and is one of the most prominent chapels for a wedding in Las Vegas. A Las Vegas wedding is one of the most appealing wedding ideas to celebrities too. Jon Bon Jovi was married here and in 2001, actually held a concert in our parking lot with 75 couples who renewed their vows with him! With this app we want to be an step closer to the newlyweds. Get to know our chapel, enjoy our galleries and discover our packages and services. But most important, the app also allows our customers to share their pictures with their beloved ones, with ease and securely.